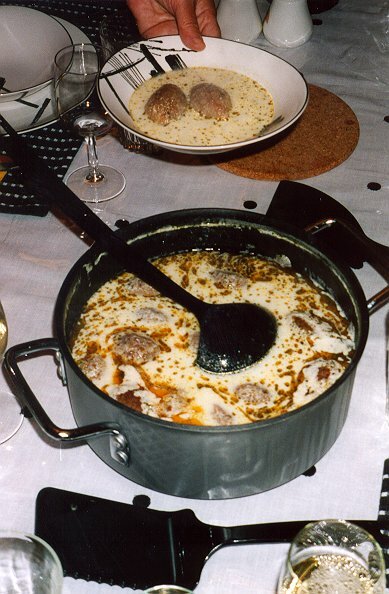 This is a favorite and regular dish in the Sark household and always eaten with the bulgur wheat meat-filled kibbeh footballs. The soup is easy. 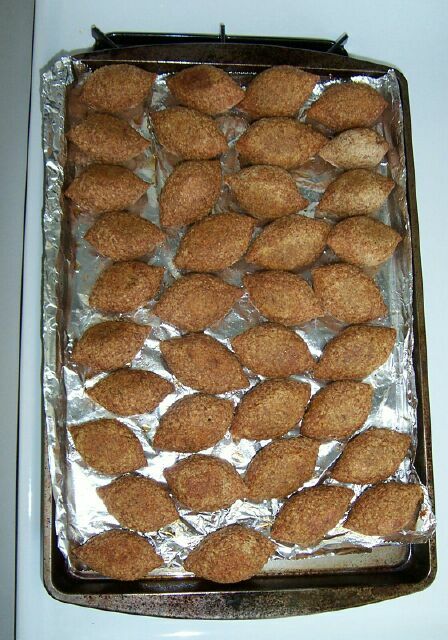 The kibbeh, if done traditionally, require skills that dr bob could not pick up in one sitting, while ani refuses to get involved with it because of the labor intensive process of forming the little suckers, so we have to rely on Isgouhi for this treat. The combination of the yogurt mint flavor and the kibbeh is exceptional, so an alternative solution to this problem must be found. Boil the rice in water with a pinch of salt until the rice is softened, about 15 minutes. Wisk together the yogurt, egg, salt and juice of 1/2 lemon until smooth. Stir the yogurt mixture into the rice with the additional water and stir over high heat until it boils (about 10 minutes). Turn the heat down to medium and add the mint, butter and salt, and continue boiling another 5 minutes. Taste. If the yogurt is not tart enough (storebought versus homemade), add the remaining juice of 1/2 lemon. Add the kibbeh (whether raw or baked) to the yogurt soup, bring to a boil and continue boiling about 10 minutes. Serve 2 or 3 kibbeh per bowl in the yogurt soup. 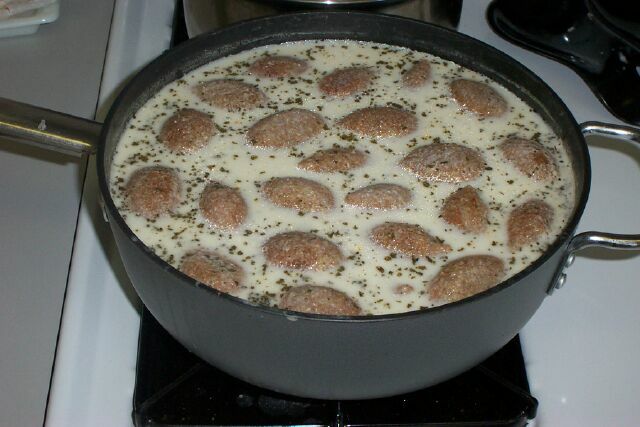 Remove the uneaten kibbeh from the soup before storing leftovers in the refrigerator to prevent them from thickening the yogurt soup and absorbing too much of the yogurt soup in return. 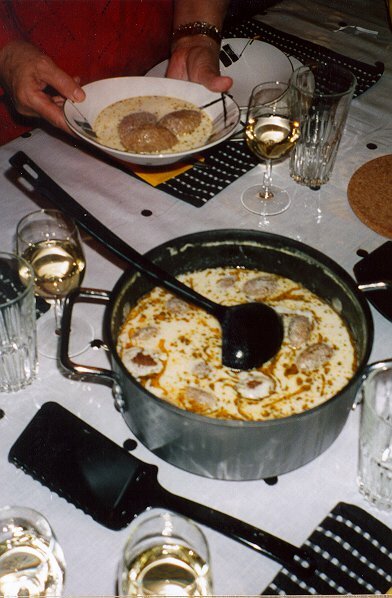 Return the kibbeh to the yogurt soup to reheat. The grains of rice should lose their identity in the soup, so one needs a long grain rice which will do that. Here is a sheet of them just removed from the oven, and then swimming in the yogurt soup, and a couple of serving shots:  . The flat sheet version of kibbeh will ultimately prove to be our unskilled solution to this problem.